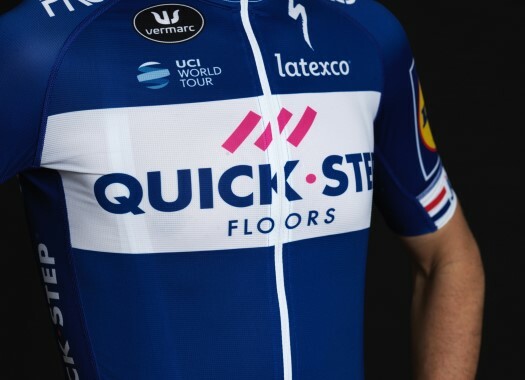 Elia Viviani (Quick-Step Floors) has won a stage in the Giro d'Italia for the second time in his career. The rider had a strong team supporting his ambitions and he has dedicated his victory to them. At the 2015 Giro d'Italia, Viviani got his first victory, also at the second stage of the race. After being absent from the race one year and leaving earlier in the 2016 edition, the rider had clear intentions of taking another victory in the grand tour of his home country. "It's never easy," said Viviani at the end of the stage. "I was really nervous this morning. I missed the Giro in 2017 and the last time I came I went out early. I had a debt with the Giro and I came back with the strongest team I've had. "I'm very proud of my team and also I'm really proud of the work I did with my family so this win is also for Elena (Cecchini, also a cyclist). We make a lot of sacrifices, she understands everything and she really believes in me. I thought I needed to dedicate a victory to her and this is a good one."